After deciding what necklace to wear I then decided on the look and shades I wanted to use. I've not worn this necklace for ages and thought the bright neon coral colour was a nice contrast against my H&M jumper. 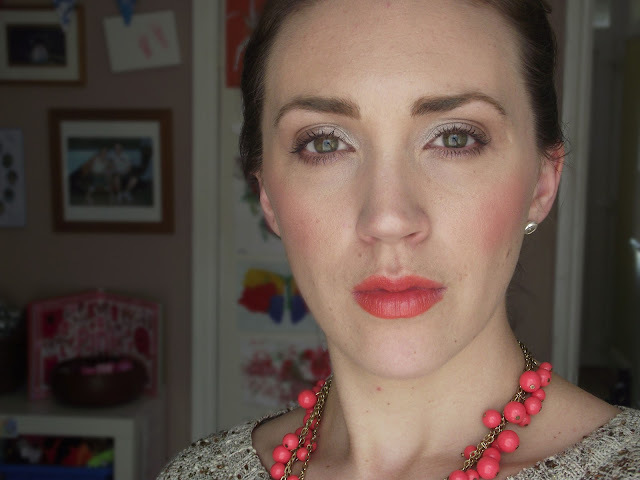 The necklace reminded me of Revlon's Tutti Frutti, because Tutti Frutti is a vibrant shade I opted for soft natural eyes. Then a nice splash of colour on the cheeks, I really think Mac's Style works well with Revlon's Tutti Frutti. Gorgeous post! Suits you so well!